It was 10 years ago in Athens 2004 when Great Britain upset the Americans at the Olympic 4x100m Relay. The original 4 from that group, Darren Campbell, Mark Lewis-Francis. Marlon Devonish and Jason Gardener, were at London’s Battersea Park for a community volunteering event to re-live the best moment of their careers. Here is the full article on the The Telegraph. The focus was teamwork and practice. Years of it, not some relay camp. MLF: That’s what happens when coaches put people together who have had no training. That’s why people mess up. JG: We were the by-product of years and years of work. We could pretty much do the changeovers with our eyes shut. I would call “Hand!” to Darren, and I knew where I was going to catch up to him. These are things you just get to know by working with people. DC: Marlon’s hand always went to the same place. That’s how I could do it with my eyes closed. You have to let your subconscious take over. We practised and practised, so thought process didn’t come into it. MD: Elsewhere, the baton being dropped started becoming an issue. It became hard-wired. People were thinking “we mustn’t drop the baton”, which shouldn’t be the thought process whatsoever. Not once did we discuss the baton not getting around. It was always about how quickly. It’s hard to think a low 38 would actually win an Olympic 4x100m, but this was before the Jamaican explosion where a 37 second result is “disappointing” in favour of a 36-point World Record! The only change they made was the finals were Adam Gemili ran the anchor. Note the other 3 who did NOT run are sub-10 sprinters. 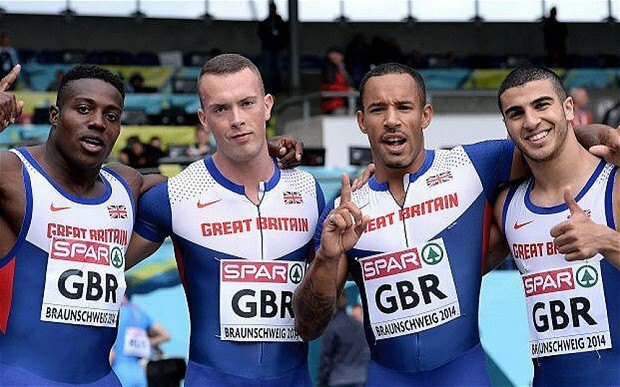 So to leave off your best individual 100m sprinters in favour of teamwork and practice worked out well for Team GB. When you think of it, so much can go wrong in three 20m exchange zones when running at 12 meters per second. So as a Coach, you have to go with your gut instinct and name 6 to your team who know each other very well. Don’t take off too soon, and keep your arm and hand steady. 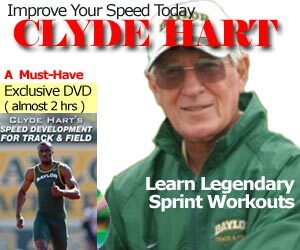 The incoming runner will be tiring and decelerating, just like any 100m sprinter at 100 or 110 meters. It should be that easy, no?